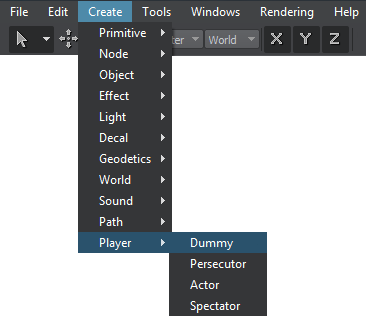 On the Menu bar, choose Create -> Player -> Dummy. 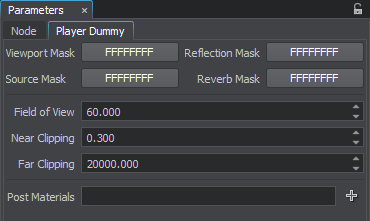 In the Player tab, you can adjust the bit-masks and viewing frustum parameters of the dummy player. In the Materials parameter field you can add post-processed materials to the camera. They will be applied after all other post-processes (such as HDR, DOF, etc.) are applied.